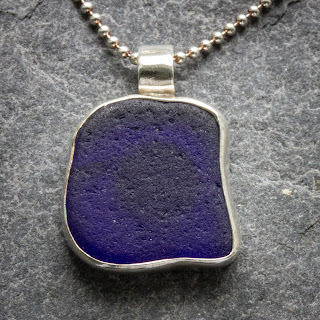 and this pendant which features a deep blue piece of sea glass set in recycled sterling silver. 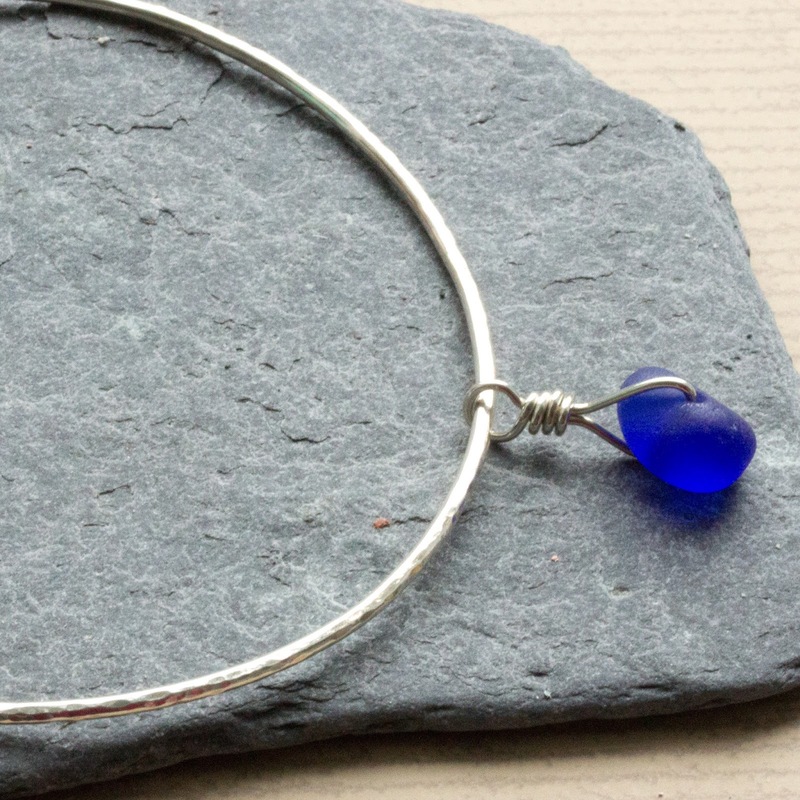 It's one of my favourites of late, probably because I don't often find such well smoothed blue sea glass. I created a circular hole in the back of the silver setting so the light shines through showing the depth of the blue colour. Lastly my large blue sea glass and recycled sterling silver ring sold in the week and I'm very happy it's gone off to its new home. Am also slightly relieved by an online sale meaning that after all the tinkering things are working, phew! 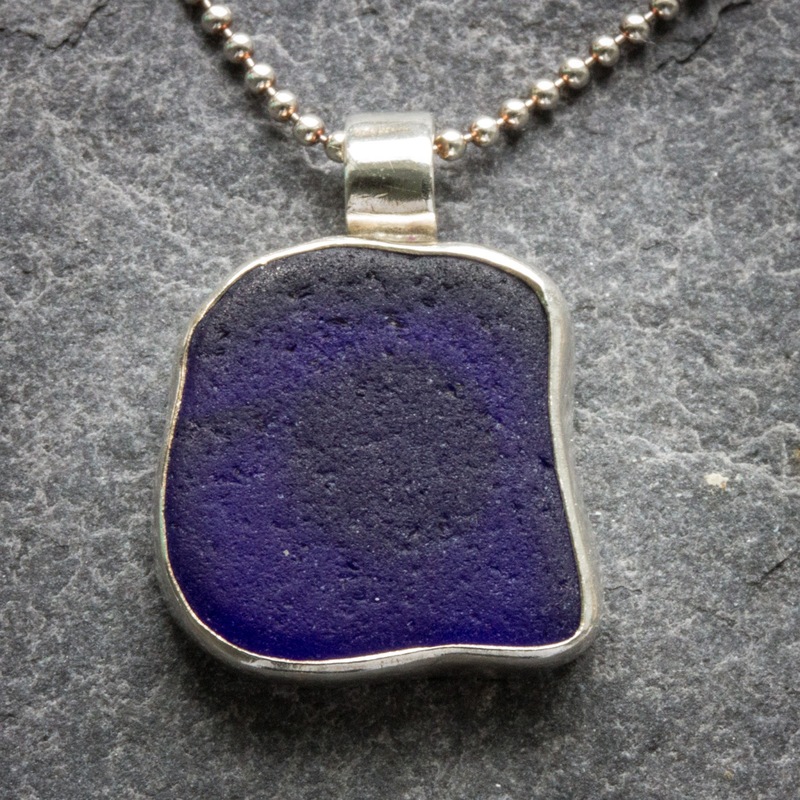 I just *love* the blue sea glass, but I can never bring myself to part with it!